Spring has sprung, and we're aiming to engage the renewed energy in our next steps! Join us this month in strategy sessions for the 2014 Minnesota Rising Cascading Conversations Tour Advance Team and our latest efforts to refine our core purpose and communications. As Minnesotans and the natural world around us emerge from winter slumber, we hope to work with you to make new things come alive! Don't forget to tag your upcoming emerging leader events, thoughts, musings, and more, #mnrising, on Twitter and Facebook. Let's aggregate and organize ourselves for increased interaction and potential for collaboration! Copyright © 2014 Minnesota Rising, All rights reserved. The latest Minneapolis Community Education newsletter offers a few exciting opportunities for community service, house-hunting, and ice cream in the months ahead! If you're looking to continue your lifelong learning, visit their catalog now to register for Spring 2014 classes. Or, consider submitting your application to teach a course in Fall 2014 and be head of the class when school is back in session! This annual event features vendor displays, community resources and educational demonstrations. Stop by the "Ask an Expert" area for advice on a variety of home and garden topics. 8:30 am for juice, coffee, and rolls, followed by the clean-up from 9 am-12 pm. We will clean up around the school and the shoreline along Minnehaha Creek, Lake Harriet and Lake Calhoun. Enjoy a picnic lunch at Southwest following the clean-up. Southwest High School, 3414 W. 47th St. If you wish to participate, call 612.668.3100 or email tom.neiman@mpls.k12.mn.us. Join us for this community event with activities, games, food and fun for all ages. This is the one night of the year that you can climb the "Witches Hat" Tower in Prospect Park for a spectacular view of the Minneapolis/St. Paul skyline. Bring your camera and walking shoes! Call 612.668.1100 for more information. I'm excited to be a part of the planning team coordinating the EPIP-YNPN Leadership Institute and thrilled to announce the roster for our inaugural cohort in 2014! See below for more details about this innovative new learning institute focused on cohort experience and co-creation. And if you see one of your friends or colleagues on the list below, feel free to reach out and congratulate them on taking next steps in their leadership journeys! The institute will kick off in April 2014 and continue through January 2015. 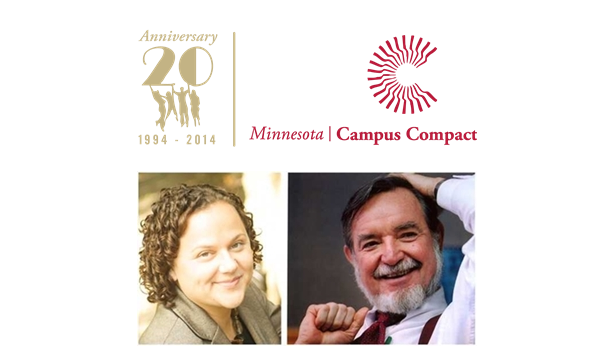 YNPN-TC and EPIP-MN are excited for this year’s pilot and hope to offer applications for a second cohort in early 2015. Stay tuned for updates on the adventures of this year’s participants! Accepting Applications: Calling All LEADers - Join Our Board! The LEAD Project is on the lookout for new members of their board of directors. Do you have a passion for nonprofit leadership and a desire to contribute to your community? Read on for additional details and consider applying by their April 4 deadline! Calling All LEADers - Join Our Board! You're Invited: Debt is Not a Four-Letter Word! You're Invited: "Restart, Inc. Gala on the Green"